Type 2 diabetes is the most common form of diabetes. The condition is caused when the pancreas fails to produce enough insulin and the body cannot use the insulin it makes. The blood normally uses glucose for energy; however, glucose builds up instead with type 2 diabetics and fat accumulates in the pancreas. That being said, losing less than one gram of pancreas fat can reverse the diabetes, according to new research from Newcastle University, U.K. The new study was published in the journal Diabetes Care. Lead researcher professor Roy Taylor presented the study’s findings at the World Diabetes Conference in Vancouver, Canada. In the U.K., type 2 diabetes affects 2.5 million people. There are 29.1 million people in the U.S. with diabetes with 90% to 95% of those being type 2 diabetes cases. Another 86 million American adults suffer from prediabetes, which is a precursor toward type 2 diabetes. Prediabetes patients have higher than normal blood sugar levels, but not high enough to be called type 2 diabetes. For the study, the researchers measured for weight, insulin response, and fat levels in the pancreas before and after weight loss surgery in 18 type 2 diabetics and nine non-diabetics. The type 2 diabetics had an average diagnosis of 6.9 years, and every diabetic had the condition for fewer than 15 years. The researchers found that the type 2 diabetes patients had elevated fat levels in the pancreas. All participants had been chosen to have weight loss surgery to treat obesity. They were measured before the surgery, and eight weeks later. The type 2 diabetics were immediately taken off medication after the surgery. Both of the groups lost around 13% of their initial body weight. It is important to note that the fat in the pancreas did not change with non-diabetics, but it was reduced to a normal level with the type 2 diabetics. Therefore, the excess fat in the pancreas is unique to type 2 diabetics as it prevents the normal production of insulin. When excess fat is removed from the pancreas, insulin secretion returns to normal and the patients become free of diabetes. With the type 2 diabetics at the beginning of the study, pancreatic fat levels fell by 1.2% during the duration of the study. A specially developed magnetic resonance imaging (MRI) scan had been used to measure the pancreatic fat levels. 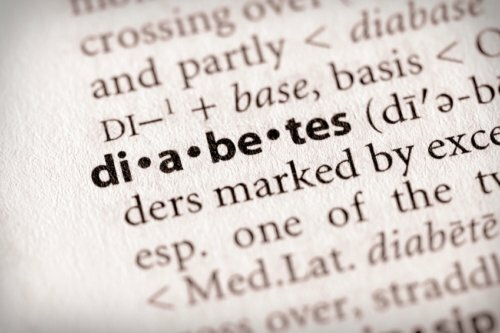 An average type 2 diabetic has a pancreas of about 0.6 grams of fat. On the other hand, the patients without diabetes had no change in their pancreatic fat levels, which suggests that it is only an issue with type 2 diabetics. From an individualized perspective, people will vary on how much fat the pancreas tolerates before the development of type 2 diabetes. Previous studies have highlighted the importance of how weight loss through diet can reverse type 2 diabetes. A 2011 study first found that diet could remove fat in the pancreas to allow for normal insulin secretion. Steven, S., et al., “Weight Loss Decreases Excess Pancreatic Triacylglycerol Specifically in Type 2 Diabetes,” Diabetes Care, 2015, doi: 10.2337/dc15-0750. “Type 2 diabetes reversed by losing fat from pancreas,” ScienceDaily web site, December 1, 2015; http://www.sciencedaily.com/releases/2015/12/151201141231.htm. Murray, M., M.D., et al, The Encyclopedia of Natural Medicine (New York: Atria Paperback, 2012), 503-504. “More than 29 million Americans have diabetes; 1 in 4 doesn’t know,” Centers for Disease Control and Prevention web site, last updated June 17, 2014; http://www.cdc.gov/features/diabetesfactsheet/, last accessed December 1, 2015.